I’ve been struggling to focus on my reading these days. It took me several weeks to finish Hild, even though I enjoyed it quite a bit, and I haven’t been able to muster up much interest in any of the other books I’ve picked up since then. Travel and TV and news and magazine articles have been filling my brain instead. 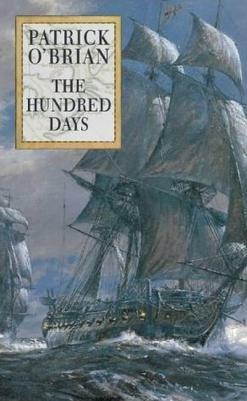 To get myself back in the book habit, I decided to go for something reliable, the 19th novel in Patrick O’Brian’s Aubrey-Maturin series (and the penultimate book to be completed). I don’t know how much of it was my mood, but this didn’t turn out to be among my favorites in the series, although it has its pleasing moments. The book covers the period of Napoleon’s escape from Elba and his defeat at Waterloo. Jack is serving a commodore over a fleet of ships that goes to north Africa to cut off any support Napoleon might receive from allies there. But before the mission begins, we readers learn of a tragic and shocking death that occurred after the events of The Yellow Admiral. It’s a significant enough moment that I was a little annoyed that the death and its immediate aftermath all happen off the page and get hardly any attention beyond that. I wouldn’t necessarily want the book to wallow in the tragedy, and certainly life and war will go on, but the lack of emotional repercussions seems wrong. As for the story itself, it takes a while to get going, and I found the early chapters, which involve some political intrigue, a little hard to follow. I was, however, delighted to see Jack take on board a female loblolly boy named Poll. A widow who’s served on multiple ships, Poll helps Stephen and his assistant surgeon, Dr. Jacobs, and is a valuable member of the crew. It’s only after the Surprise reaches Algiers that the book as a whole really takes off. Stephen and Jacobs head out to meet Omar Pasha and his political adviser to ensure that they make no moves to support Napoleon. As usual, Stephen takes pleasure in the animal life he encounters along the way. And the adventure builds up to a lion-hunting expedition that nearly turns fatal. Another startling development occurs at the market in Algiers, where Stephen encounters two seven-year-old Irish children who’ve been trafficked into slavery. He immediately purchases them and takes them under his wing, with the intention to ensure that they get home to Ireland. Other than that, not much in this book stands out. 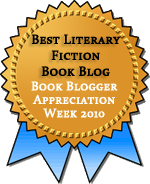 It has sea battles and storms and unexpected obstacles, a lot of the typical trappings of an O’Brian novel. Not among my favorites, but not weak enough to detract from my overall pleasure in the series. Yes, that offstage death was sad and shocking. On thinking back, I realized that O’Brian had set the stage for it in the previous book, but I was totally surprised. I read the bridge scene in the previous book as an enjoyable triumph for Diana, so the fact that it was how she died made it feel a little worse. A bummer all around.